Hair cells are mechanoreceptor cells covering crista in the ampulla of a semicircular canal. In this context, hair cells are deflected by fluid moving through the canal and hence respond to angular acceleration (rotation). 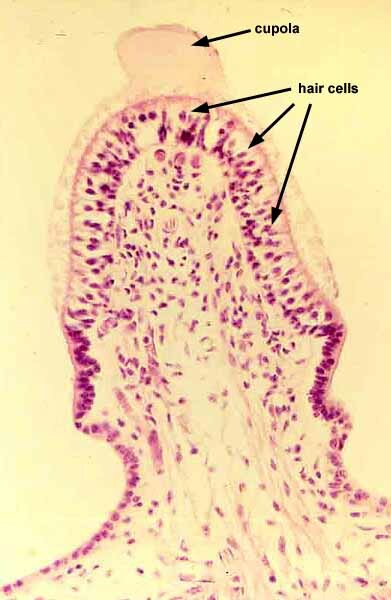 The space above the tissue is filled with endolymph. Click on thumbnail at right for low-magnification overview.